To see more of Leslie Jones’ photos, check out @lesdogggg on Instagram. 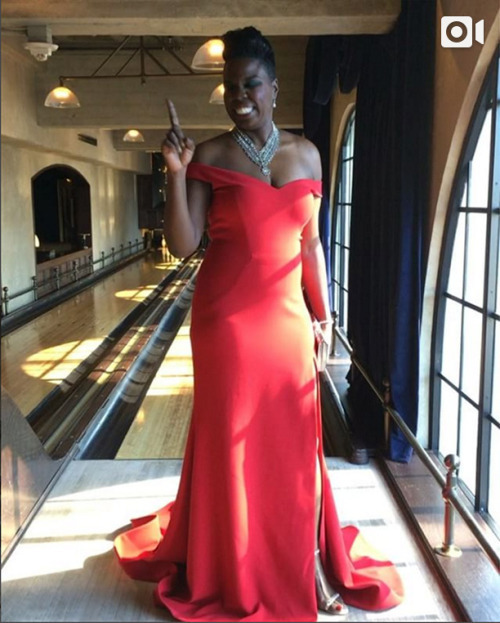 Leslie Jones (@lesdogggg) was not going to be played at the biggest movie premiere of her career. So when the actress couldn’t find a fashion designer to make her dress for the Ghostbusters (@ghostbusters) red carpet, she said something about it. Thankfully, former Project Runway winner Christian Siriano (@csiriano) answered the call. The result is this gorgeous gown.